What’s this fair trade stuff all about? I can’t tell you how long ago it was that I first started hearing the words “fair trade” nor can I tell you how long since I’ve begun heeding the call. What I can tell you is that “fair trade” is a way to change the world, right from your home, even if you don’t like coffee or chocolate. See, coffee, tea, and chocolate are the first things in our house to undergo a change to fair trade. These are luxuries, to be honest. We would survive without them (okay, maybe not the coffee), but they are not necessities like water, bread, milk, eggs, etc. We can find them cheap because they often come from places where their natural environments are exploited and lands rich in resources the rest of the world demands are not given their fair share of profits. Or maybe I should say that the people who grow the food are not given their fair share. Fair trade became personal for me when I realized that my luxuries, my indulgences, could be causing serious harm to someone else. Could I really enjoy my chocolate bar if I knew there was slavery in its supply chain? How does that coffee taste when I learn of how little the farmer who grows the beans actually makes? I know there are lots of arguments on both sides and I’m sure fair trade isn’t as simple as it sounds. The good news, though, is there are organizations who are partnering with people around the world to provide jobs which lead to education and hope and a feeling of being worthy of life. 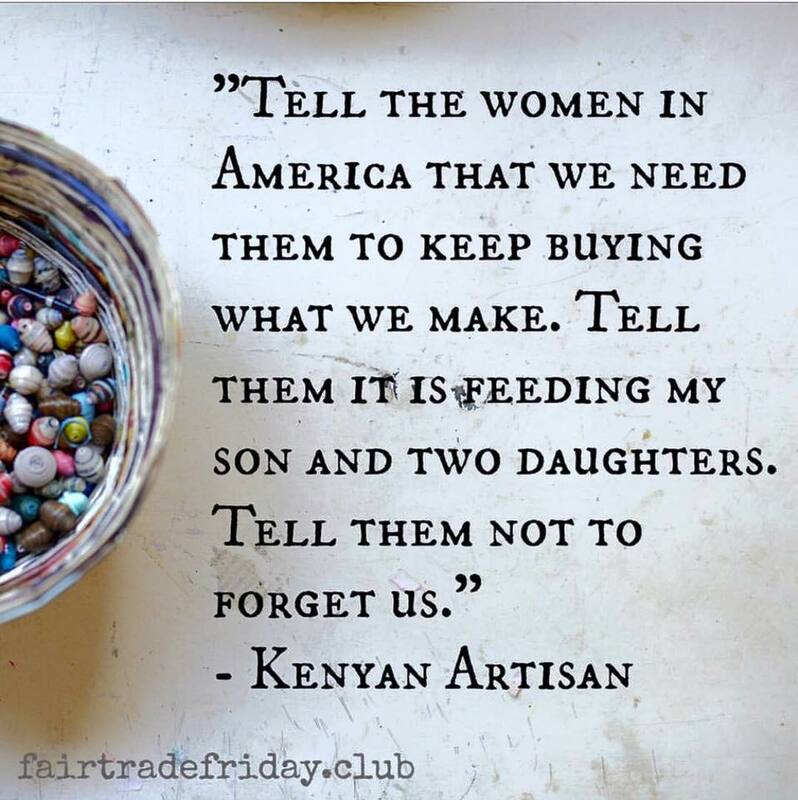 You can learn a lot about the Fair Trade Friday Club and see what they’re all about on their website. As part of the Fair Trade Friday blogging team, I received some products to review in exchange for my help in telling you about the organization. Tea. A change purse/pouch. And a gorgeous picture frame. 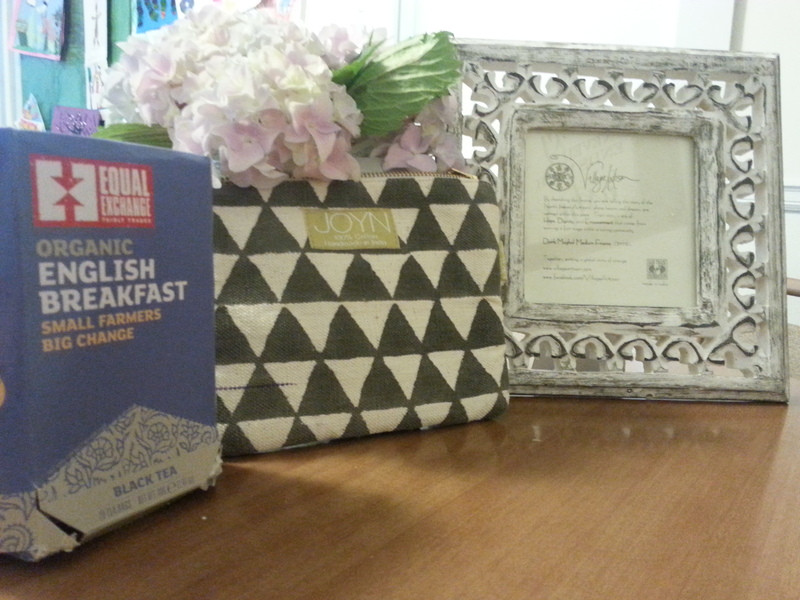 I put the purse to use right away in my carry-all bag, and I’ve had the tea, which I love. The frame is beautiful–an unexpected fair trade item. Maybe you’re like me and you have a certain idea about the kinds of things that are “fair trade.” This monthly box contains surprises each time. And there’s a club just for earrings, if you’re into jewelry. You can check out all the fair trade products available in The Mercy Shop. The great thing is that not only are the items fair trade, but they support organizations all over the world, not just in Kenya, where Mercy House is based. Do you ever wonder if fair trade really makes a difference? It’s a nice story, right? Well-off Americans buy handmade goods from artists around the world and everyone lives happily ever after. But is it true? This is why I love global communication and becoming involved with organizations where the link between the person making the item and the person buying it is intentionally short. Probably one of the most profound moments for was in a mud home in Kenya talking with a woman we were buying paper bead bracelets from for a Fair Trade Friday box. She grabbed my hands and squeezed them tight. She looked me straight in the eyes and said, ‘Tell the women in America that we need them to keep buying what we make. Tell them it is feeding my son and two daughters. Tell them not to forget us.’ I will spend the rest of my life reminding these marginalized women they are not forgotten. And it’s not just about the money. It’s about so much more. 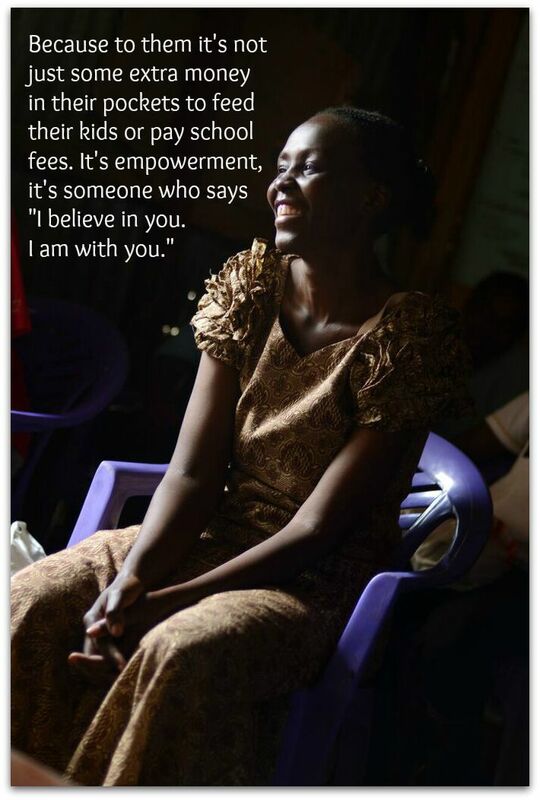 You can help women not just earn a living and provide for their families but see themselves as worthy and purposeful contributors to society. Check out what the Fair Trade Friday Club has to offer. And if there aren’t any current openings for the recurring boxes, add your name to the waiting list so you can be notified when it is open. Images, excluding the one of the products I received, are courtesy of Fair Trade Friday.